In this review we feature the best Bose speakers for music lovers that provide great value for money and superb sound performance. These speakers are capable of delivering a tonne of volume output without any distortion and deep bass for large parties and gatherings. Our experts have tested each individual Bose speaker to determine which ones perform the best in terms of sound quality. The bass output from these speakers hits hard and tight, and does not muddy into the midrange frequencies. They are great for audiophiles and music lovers who want to listen to high-definition sound and enjoy crisp tones and punchy beats. If you are looking for the best Bose speakers to get for music, be sure to check out our top picks below! 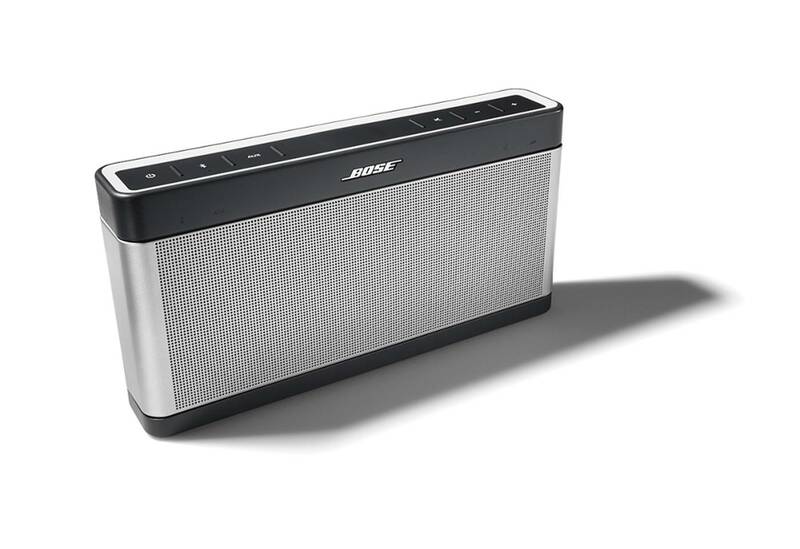 The Bose SoundLink Mini II is a wireless speaker that produces high quality audio at a powerful volume despite its size. It establishes a reliable wireless connection to any Bluetooth device that ensures a high quality transmission medium free of latency or signal loss. It has a very good battery life which lasts up to 10 hours of continuous audio playback for a single charge. It charges through a micro USB port and also has an auxiliary 3.5mm audio input. It also features a built-in speakerphone which is well integrated for taking hands free phone calls without disruptions to music playing. The sound quality of the Bose SoundLink Mini II is surprisingly good considering how compact the speaker actually is. It can pump out crystal clear volume levels with a tonne of bass output without any distortion which is a great feat. Furthermore, music performances such as electronic dance music and rock and pop sounded very punchy and vibrant to listen to without a hint of harshness. It’s a high-performance speaker that does give the bang for the buck in terms of sound quality. 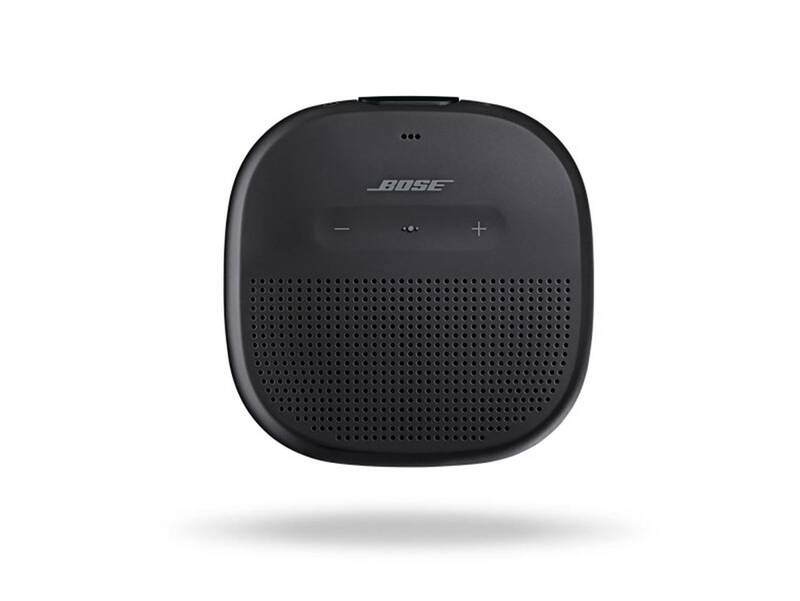 The Bose SoundLink Mini speaker can be connected to digital assistants such as the Echo Dot and Google Assistant for hands-free voice control. 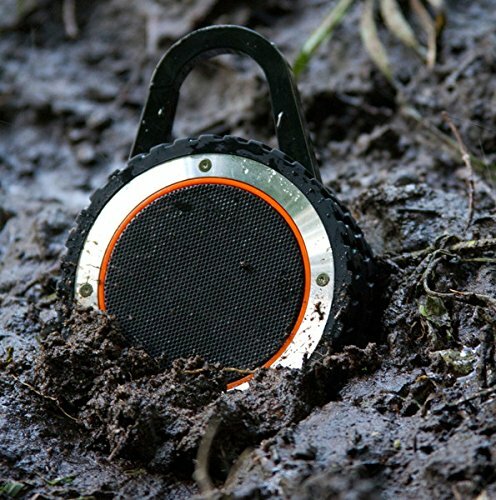 The sound produced by the SoundLink Mini II is its strongest asset. It has a clear and crisp sound that performs well across all frequencies. It has a tight and punchy bass, clear mids and precise highs. Even though the SoundLink Mini II is quite small in size, it has a very good output volume, being ideal for home usage, but performing equally as well in open spaces. The SoundLink Micro is a small, portable wireless speaker developed by Bose which produces great sounding audio while being very convenient to be used and transported. 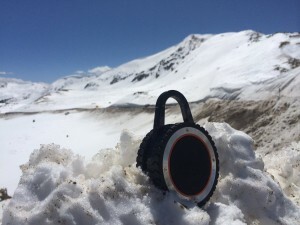 It is capable of playing music at a large volume despite its small size and has a very good bass response, enhanced by balanced mid and high frequencies. It is built out of high quality, durable materials which ensure that it will last a long time. It’s also waterproof with an IPX 7 rating which means that it is fully water-resistant, whether it’s being used in the rain or at the seaside. In terms of sound quality, the SoundLink Micro does perform relatively well for a speaker of this size. It has nice highs, good midrange tones and vocal clarity which makes the speaker nice to listen to. The bass output is punchy but not overwhelming or muddy; it stays exactly where it should be as bass. The SoundLink Micro speaker has a built-in battery that lasts up to 6 hours of continuous audio playback. The Bluetooth connection is well implemented and can last up to 9 metres without any transmission issues, keeping the audio at a high quality level and maintaining minimum latency. 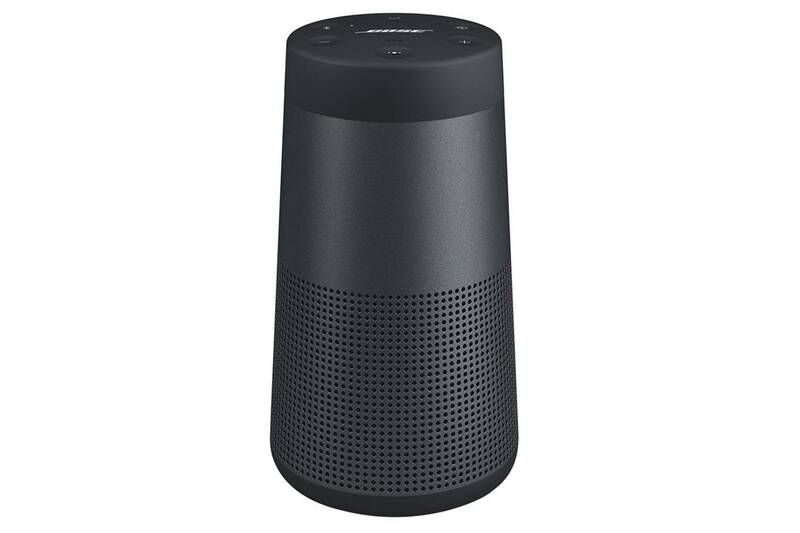 The SoundLink Micro can also act as a speakerphone which enable users to take high quality voice calls and control the device that it’s connected to using Siri or Google Assistant. The speaker comes with a tear-resistant strap that secures the SoundLink Micro to any item, from a backpack to a bicycles and more. The Bose SoundLink Color is a Bluetooth speaker that has been designed to deliver high quality audio without sacrificing any of the convenience elements. It connects wirelessly to any Bluetooth enabled device, delivering a reliable and consistent transmission medium that poses no signal loss or latency. It is easy to pair and can connect with a simple touch with NFC devices. It also has 3.5 mm jack auxiliary port that allows a wired connection for devices that are not Bluetooth-enabled. The sound quality of the Bose SoundLink Color is great and has plenty of volume both indoors and outdoors. The bass response from the Color speaker is surprisingly deep and punchy, and adds a layer of flare to music performances. Music genres such as electronic dance music, rock and pop sounded very good, and the speaker has a good level of projection in outdoor open spaces. The SoundLink Color is built out of high quality and durable materials which ensure that the speaker is going to last for a long period of time. It is also water resistant and has a rugged silicone exterior which give it additional grip and protection. It is suitable for outdoors usage because of its robust and solid design. The battery can produce 8 hours of continuous audio playback and it can be recharged using USB power sources. The speaker has a built-in microphone which turns the SoundLink Color into a speakerphone, offering hands-free voice call capabilities and phone controls using Siri and Google Assistant. The Bose SoundLink Revolve+ Speaker provides high fidelity, 360 ° audio. It can connect wirelessly to any Bluetooth enabled device establishing a reliable connection that ensures minimal signal loss and latency at up to 9 metres. It produces true 360-degree audio and delivers deep and powerful bass, clear mids and crispy highs. It is ideal to be used in open spaces or to be placed in the middle of the room in order to use the 360-degree feature to its maximum. The sound quality that we got from the Bose SoundLink Revolve + is exceptionally clear and well-defined, with crisp highs, detailed midranges and clean bass response. We liked the fact that you can stream music directly to the SoundLink Revolve speaker and it will produce crystal clear sound without any dips in sound quality. It can also pump out a tremendous amount of volume without any distortion and is great for outdoor or indoor parties. The SoundLink Revolve+ is portable and can last up to 16 hours of continuous audio playback on a single charge, making it ideal for remote usage. The aluminium body is durable and water resistant, ensuring that no damage is done to its components and protects the integrity of the speaker. The IPX4 water resistance rating means that it is protected in rainy and humid conditions, but does not perform as well with water splashes or submerging. It features a built-in microphone which enables hands free high quality voice calls and device control using Siri and Google Now. The Bose Companion 2 Series III are a stereo set of speakers that produce high quality audio and have been designed for desktop usage. It connects to any kind of desktop setup, both Windows and Mac computers, and has an additional auxiliary input for connecting remote devices such as phone as tablets. The connection is a standard 3.5mm jack connector which is used universally and establishes a reliable and consistent audio stream. The sound performance of the Bose Companion 2 Series III speakers is good, with nice stereo sound and clean separation between the right and left channels. The speakers do produce a decent amount of bass output, although it would benefit from the addition of a dedicated subwoofer. The sound quality for PC games is crisp and clear, and the sound feels punchy particularly at the lower-end frequency range. As the speakers are separate, they can be placed at any distance and angle, enabling the user to create a bespoke stereo system depending on his current setup. The right speaker has a volume control which is linked to the whole setup. It also features a headphone socket which allows users to plug in their headphones in a convenient manner, muting the speakers in the meantime. Sound-wise, the Bose Companion 2 Series III produce balanced audio with a good frequency response across the whole frequency spectrums. They can produce very loud audio and the volume control allows for a continuous and discreet ramping of the sound level. 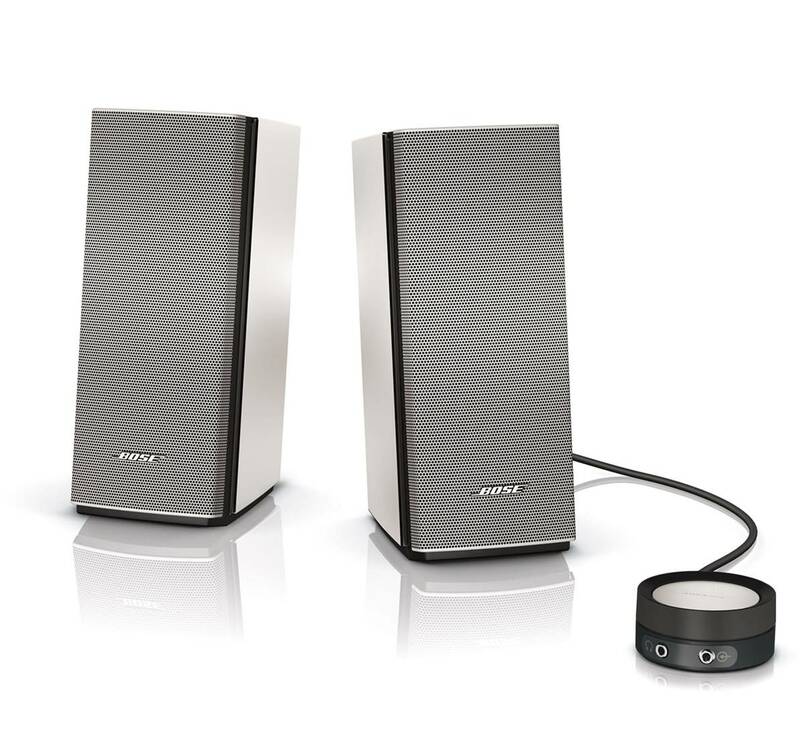 The Bose Home Speaker 500 is a speaker designed to be used in closed spaces and can produce high quality stereo sound. It connects wirelessly through both Wi-Fi and Bluetooth. Bluetooth will create a dedicated connection to your device such as smartphone, tablet or laptop, controlling the speaker directly and playing music straight from your device. Using WiFi, you can play integrated services such as Spotify, Apple Music or Audible. The sound output of the Bose Home Speaker 500 is exceptionally good, with crystal clear sound and vibrant bass beats. The lower-end frequency ranges are particularly well-defined and you can feel the depth and punch in music performances. 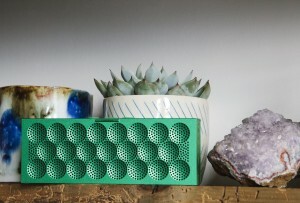 We also liked the fact that you can crank up the volume on this speaker without hearing any distortion from the speaker. 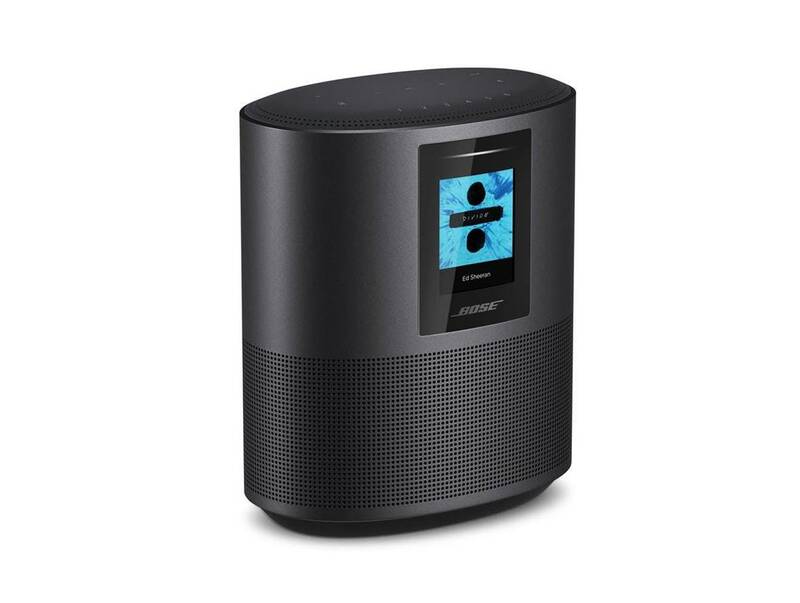 The Bose Home Speaker 500 has a built-in voice control for Alexa which enables convenient, hands free interaction with the speaker. The built-in microphone can distinguish human voice even when audio is playing. In addition to voice controls, the speaker can be controlled through the Bose Music application, and it also features and touch-based system on top for effortless interaction. The speaker produces great sound that is suitable for indoors usage both from a output volume perspective and sound propagation perspective. It can be used for music, films, podcasts, radio shows, or any kind of media that the users consume in their household. The Bose SoundLink Bluetooth Speaker III is a thin and powerful speaker that has been designed with convenience in mind without compromising on sound quality. The most distinguishable feature of this speaker is its thin profile, which make the SoundLink III easy to place, transport and store. Regardless, it has an excellent output volume and the sound quality it produces is great. It can fill up a room with crystal clear audio and offers fullness and depth to any kind of music. The sound from the Bose SounLink III is crystal clear and has plenty of volume output. You can power up the volume level on the SoundLink speaker to maximum without hearing any distortion from the speaker. Despite its small and compact size, the speaker does deliver a good amount of bass output with crisp highs and detailed midranges. Our only quibble with this speaker is that it is slightly larger and less portable to carry around. The SoundLink speaker connects wirelessly to any kind of Bluetooth enabled device, establishing a reliable connection that has a range of up to 9 metres, delivering high quality audio without any transmission related signal loss or delay. It is easy to pair, the speaker being set as discoverable with the press of a single button, making it available for devices to set up a connection. It is battery powered, lasting up to an impressive 14 hours of continuous audio playback on a single charge. Across the top, it has a control menu that is covered with a silicone panel that protects against damage and dust. 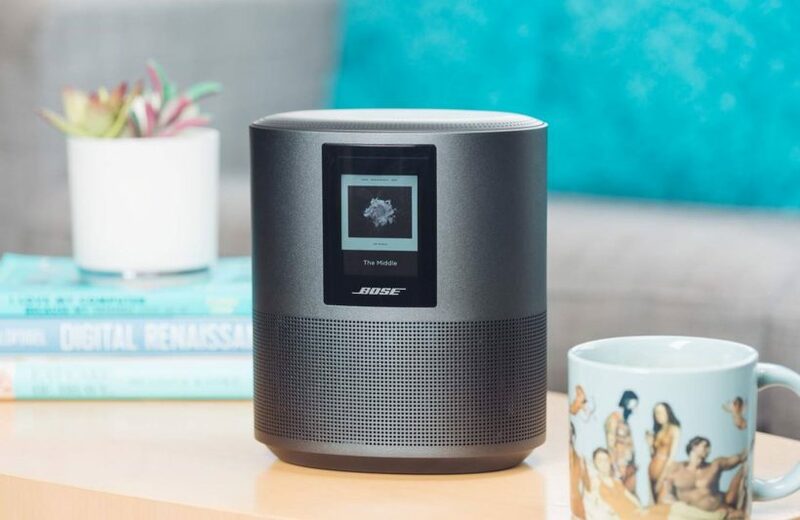 The Bose Wave Music System IV is an all-in-one, comprehensive stereo sound system that is able to play different formats of audio and render them at an extremely high quality. 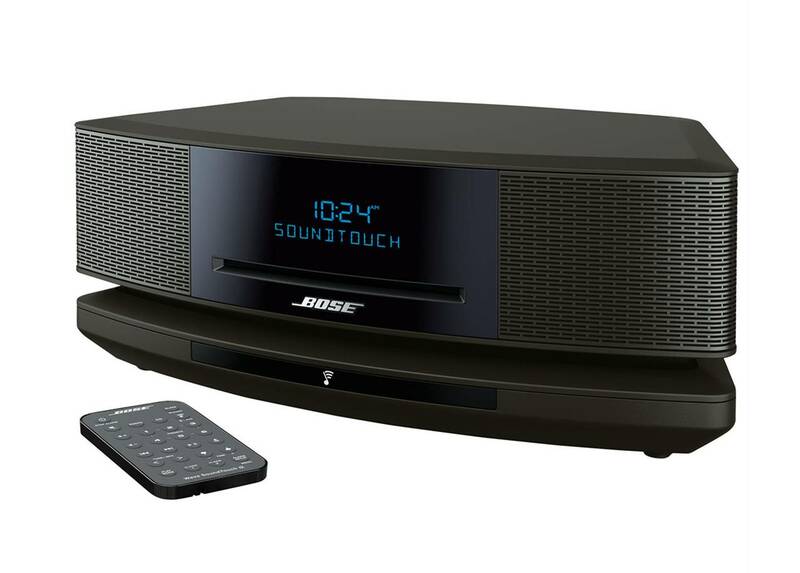 It’s a redesign of the classic Bose tabletop system with added modern features and improved sound. 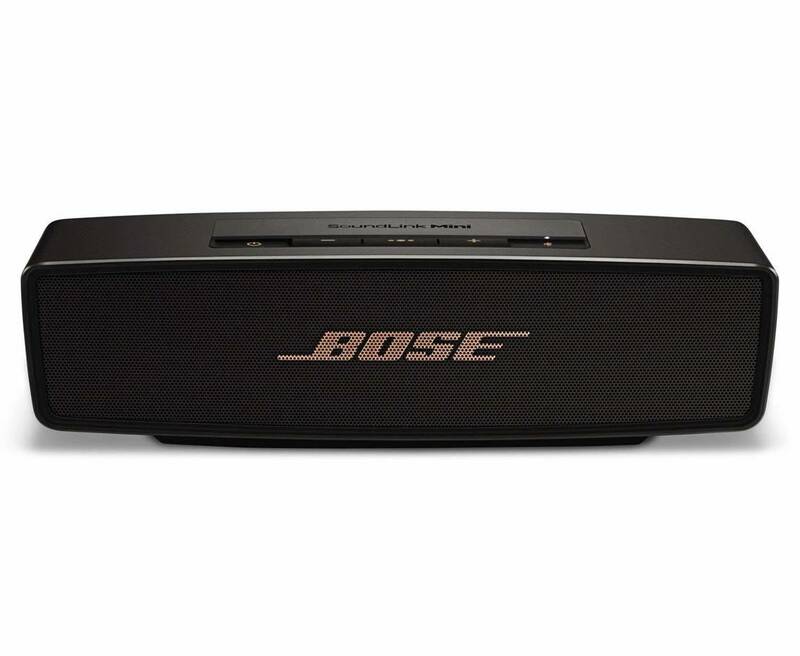 It features Bose’s waveguide speaker technology that produces a superior audio experience. It is compatible with multiple formats, including CD and MP3 CD, AM and FM radio, as well as digital streaming through wireless connectivity. 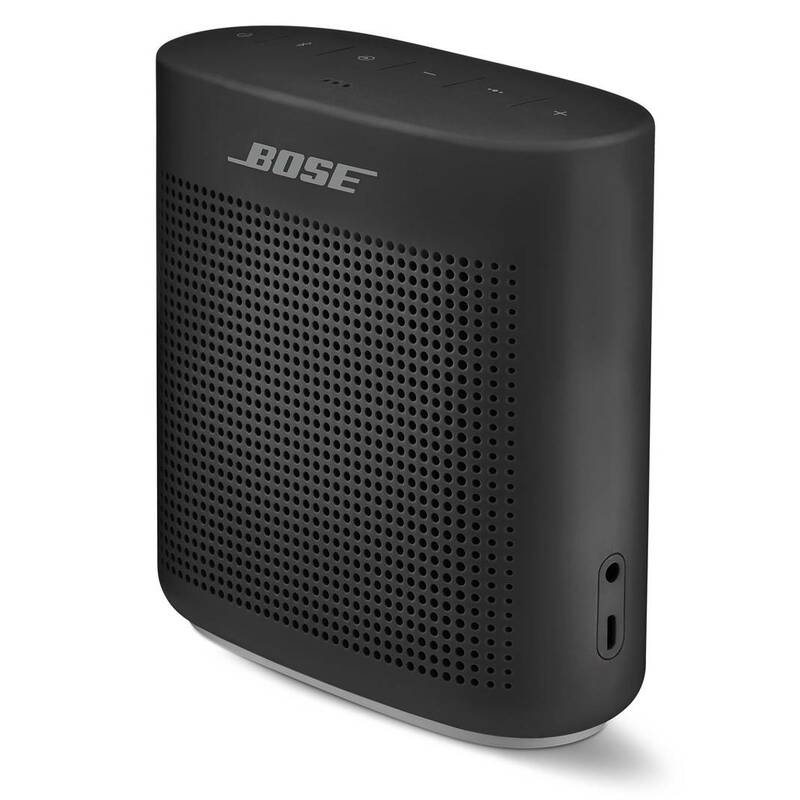 The Bose Wave Music speaker can connect to external devices either through using an auxiliary input or a reliable Bluetooth connection. It has a contemporary design that can fit nicely in any home without attracting unnecessary attention. It can be controlled from a distance using the provided wireless remote, and users also have the option of using the touch controller located on the top of the unit. The Bose Wave Music System IV delivers high quality audio from a multitude of different types of sound sources, both classic and modern, and has a large number of features and control options which make it a great addition to any existing home setup. 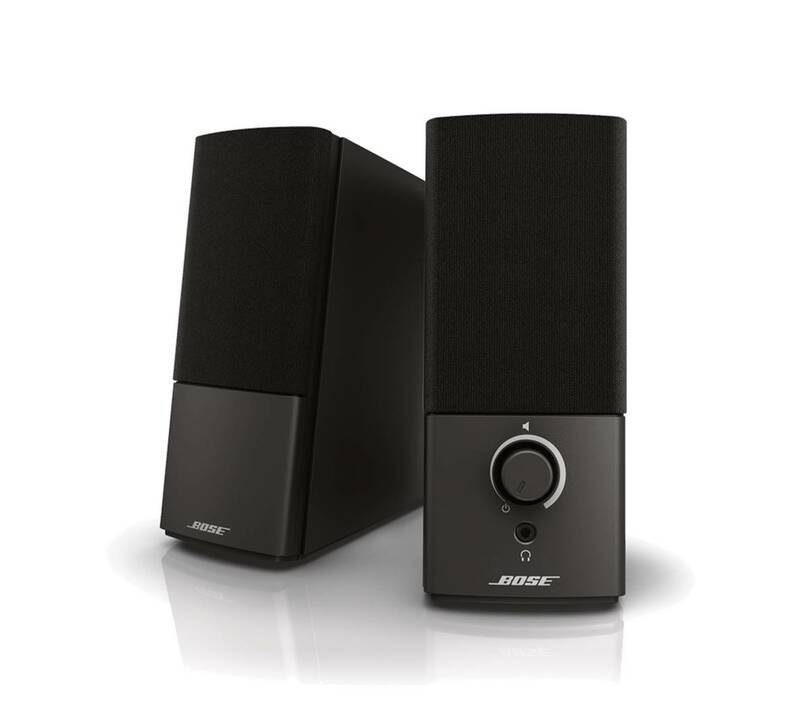 The Bose Companion 20 Multimedia is a set of stereo speakers which are suitable for desktop usage, providing high quality audio at a good output volume. The system features two speakers, one dedicated for the left channel and one dedicated for the right channel, which can be placed independently of each other, adapting to the existing desktop setup and creating a stereo image that is adequate for the listening position. Each speaker produces a full, natural, high quality sound with powerful bass that eliminates the need for a dedicated bass module. It has a control pod dedicated for the output volume of the speakers, and also features two auxiliary ports for headphones and other devices. These speakers are great for PC and computer setups, with crystal clear stereo sound output. They have good separation between the left and right channels which provides nice details for music and movies. The bass output on these speakers is surprisingly deep, adding low-end frequency response on the sound performance. The Active electronic equalisation balances the frequencies across the spectrum for a full and clear sound that renders the audio in high fidelity. The Companion 20 also features Bose’s TrueSpace technology which is a stereo digital processing circuitry that creates a two-channel soundstage engineer specifically for listening at the computer. They connect through a standard 3.5 mm TRS jack port which is universally adapted by most audio and computer vendors. 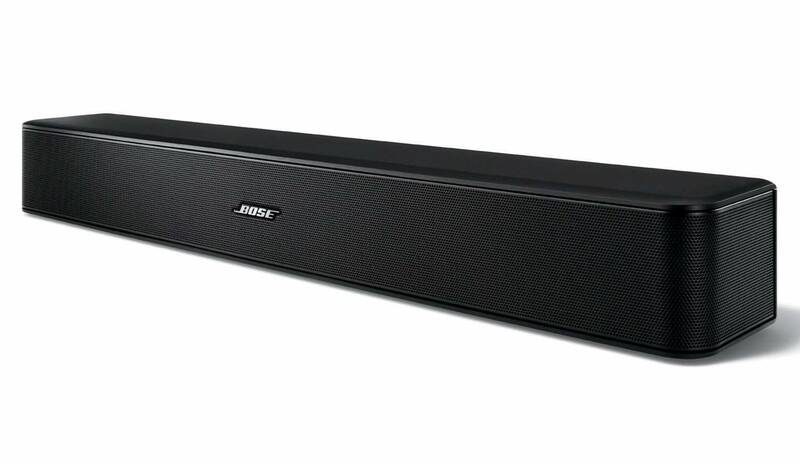 The Bose Solo 5 TV Sound system is a single sound bar which has been designed to enhance your TV experience with better sound quality. Its shape has been engineered in such a way to fit easily either below or above your television in order to give the user the impression that the sound is coming from the screen. It has multiple types of connectors for the television, including a digital optical audio input, a coaxial audio input, and a standard 3.5mm TRS auxiliary input, so it can work with almost all existing TV setups. The sound quality of the Bose Solo 5 is excellent – it delivers full-range sound performance with crystal clear dialogues and sound effects. Movie performances sounded lifelike and as though we were sitting in a real cinema theater. The bass output on the Solo 5 is extremely powerful and punchy – it produces bass that you can literally feel. It can also bring out the sound effects in movies that you might never have heard before, and has very well-balanced soundstage between the left, right and center channel speakers. The Solo 5 also has the option of connecting wirelessly using Bluetooth technology to a remove device, enabling the user to stream music from their phone, tablet or laptop without the use of wires, by simply pairing their device to the speakers. The Bose Solo 5 has an integrated Dialogue mode that emphasises speech so that every word in a dialogue is clear and stands out from any additional noises. The speaker comes with a remote that allows convenient control over the TV, bass level and Bluetooth connection.